The Gentle Sleep Book offers gentle, reassuring and effective solutions to addressing the common sleep problems of newborns to five-year-olds. 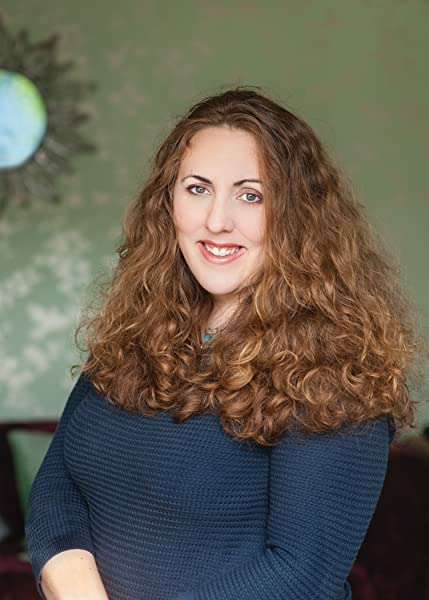 Sarah Ockwell-Smith's methods don't involve common sleep-training techniques such as controlled crying and pick up/put down, instead she treads a carefully balanced line between the needs of sleep-deprived parents and those of the child. 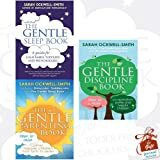 The Gentle Sleep Book offers reliable, evidence-based advice on how to approach common issues including frequent waking, night terrors and night dryness, as well as practical suggestions tailored to each developmental stage, such as how to create the perfect sleep environment and bedtime routine, the effect of diet and how to use comfort objects effectively. All the information is supported by in-depth case studied to demonstrate how parents have used the suggestions to address their child's sleep problems. Start reading The Gentle Sleep Book on your Kindle in under a minute. It's ok. Repeats itself and contradicts itself in places without explaining the nuances - e.g says to wait until they are tired, or to be consistent with bedtimes, or to try for a later 8pm bedtime in different parts of the book. Would have benefitted from a good editor / reviewer to fix these issues. But has lots of ideas so I have used it to formulate a plan. Yet there isn't much in the way of how to implement a plan - my baby is hooked on feeding to sleep so how do I gently wean her off that so I can use the other methods? It doesn't really cover this. Also a Shame it doesn't cover babies waking to wee. I'm sure that this affects some babies and a dream wee can help them. Also (I guess true of many a gentle book) the author is keen to tell you her preferred method which can be a bit annoying. This was a sleep deprived purchase in the newborn days but in reality I have found that it was of little use. It is quite wishy washy in the way it is written and seemed to have no resemblance to my daughters sleeping pattern. They settle into a pattern eventually, you just need to give them time. 3.0 out of 5 starsAccept and move on. A) Advocate cry it out and spend 300 pages giving case notes of parents whose lives where transformed by this radical advice. B) Do not advocate cry it out and spend 300 pages giving case notes of parents whose lives were transformed by this radical advice. If you care enough to be looking for books then congratulate yourself, as you're clearly a caring parent who just wants to do the best for their child. Now go and make yourself a cup of tea (or preferably get someone else to make one for you) and enjoy a big cuddle with your little one. This book is lovely. It makes me realise I am not a bad parent for listening to my child's needs and that although she isn't sleeping, that's ok. Gives some practical tips to help at each stage too. I've only just started reading this and already I found myself smiling and feeling better. I've been so caught up in my own worry bubble. Instead of all the negative comments I've had from ppl about my child not sleeping properly this book is actually saying it's ok and explaining sleep. Ive fpund it comforting and honest. Great book. Really worthwhile read for all parents, and especially those who are have challenges with their child sleeping. It doesn't offer any miracle solutions, but it certainly helps to reframe your mindset regarding how your little one is sleeping. Fantastic book. 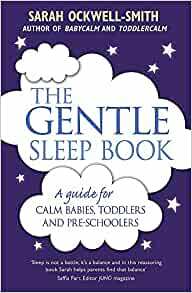 Its offers an insight into the inner workings of little ones and allows guidance for a gentler approach to sleep. Simply explaining a child's development and growth helped me understand my child's sleeping journey and busting myths about sleeping routines which aren't very helpful. I especially enjoyed sections about what other cultures do. All in all a very useful book.